Find Fishing Reports, Up to date information on the Henry’s Fork, and other news from Three Rivers Ranch. Flows are stable at 180 CFS. 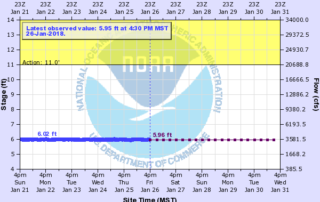 We think it will stay at this flow or even drop a little due to the non-existent snowpack in the Owyhees. Whatever storage they have they need to save for irrigation this summer. The steady flows mean that PMD’s are just around the corner. We’ve seen a few adults, but we’ve seen mostly caddis and also midges popping in the late afternoon to mid-evening. Blue-winged olives are still around but with the warmer temperatures will slowly fade away. If you do not see anything on top, try a dry-dropper setup with a caddis, parachute Adams, skwala, beetle, or any stimulator pattern on top. Subsurface you’ll focus on variations of zebra midges; black, red, etc., small pheasant tails #18-20, soft hackles, or little baetis nymphs #18 & 20. Streamers can be productive too; white, olive, white/black. Have fun and stop by TRR Outfitters in Eagle to stock up on some flies and to purchase your Owyhee fishing license. Owyhee Reservoir Levels Owyhee River below the Dam Owyhee River near Rome, OR The post Owyhee River Fishing Report – May 4 2018 appeared first on TRR Outfitters. Lower Section (Ashton downstream): Nymph fish in the early or late part of the day. Look for rising fish on midges in afternoon during the warmest part of the day. Cold nights and mornings have some sections of the river with slush and ice jams floating around. Streamer fishing, Nymphing with possible midge adult dry fly action in mid-afternoon. Upper Section (Ashton Upstream): Nymphing with either stone nymphs or zebra midges with glo-bug egg patterns. Look for rising fish in mid-afternoon on adult midges or clusters. Streamer fishing all day is an option as well. Slower stripping! Cold nights and mornings have slush and ice jams floating around on certain sections of the river. Weather Outlook: Snowy with Colder temps. Upper 20’s for highs and teens & single digits for the lows. Dress warmly with lots of layers. Stop by our Ashton Fly Shop to stock up on flies or give us a call at (208) 652-3008 for more fishing info. Henry's Fork near Island Park, ID Henry's Fork near Ashton, ID The post Henry’s Fork Fishing Report – January 2018 appeared first on TRR Outfitters. The South Fork of the Boise is at its normal winter flows of 302 CFS. We are seeing some good baetis hatches along with a few midges in the mid-afternoon and evenings depending on the day. 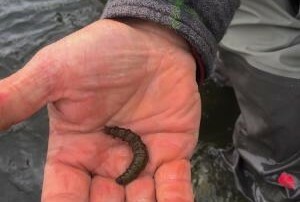 Nymphing has been the most productive technique, try using a stonefly pattern like a rubber leg or leech with a small pheasant tail, zebra midge, or copper john as a dropper. Streamer fishing has picked up in the deeper holes with natural colored sculpin patterns and baitfish patterns. Remember it’s barbless single hook only on this stretch of river. TIPS: Look for those overcast, rainy days for the best late fall Baetis hatches. 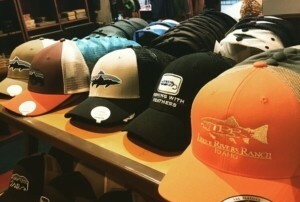 Stop by or call our Boise Fly Shop for up to date information on where to fish and what to use. 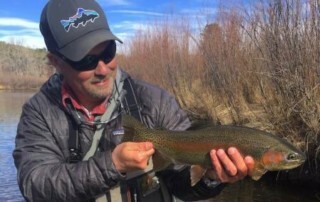 (208) 939-6065 Boise River - In Town @ Glenwood Bridge South Fork of the Boise @ Anderson Ranch Dam The post Boise River Fly Fishing Report – January appeared first on TRR Outfitters. Apply these techniques to improve your fly fishing experience.